The municipality of Mijas, sits 20 minutes West of Malaga Airport, in the autonomous community of Andalucia. It is the fourth largest municipality in Malaga. With around 78,000 recorded inhabitants. 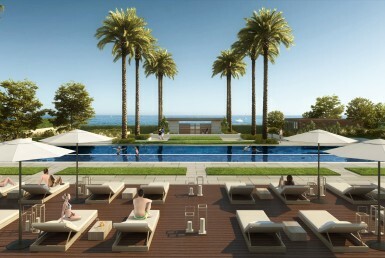 Bordered by Marbella in the West, Fuengirola in the East and Alhaurin el Grande in the North. This is very much in the heart of the Costa del Sol. Whilst the area is often referred to simply as ‘Mijas’ it is in fact made up of several different zones. Each boasts its own lifestyle, characteristics and personality. The zones can really be divided into two. 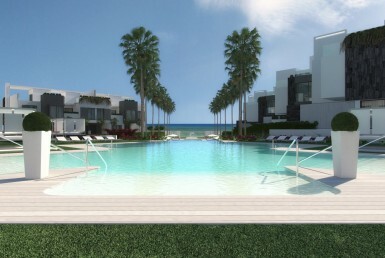 Firstly, Mijas Costa, the coastal region, comprising of beach towns, golf courses, commercial and residential areas. Secondly Mijas Pueblo, the more traditional settlement, surrounded by mountains and countryside. 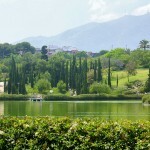 Within its 150km2 perimeter, residents enjoy golden beaches, breathtaking views and countryside. Traditional Andalucian villages, buzzing cosmopolitan towns balanced against residential suburbia. 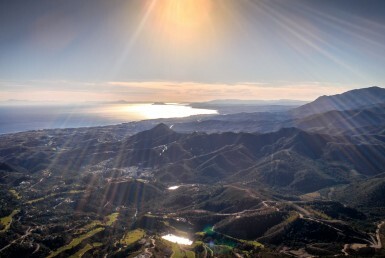 The area of Mijas is very much the jewel in the crown of the Costa del Sol. 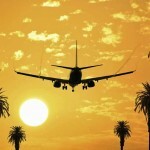 It is no surprise therefore that it is so sought after as a relocation destination for foreign buyers. The transition is easy, with a mix of both Spanish and international residents. 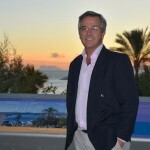 Whilst the living experience is still authentic, with plenty of Spanish culture and tradition available in the area. 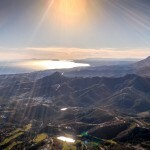 Let us introduce to you the coastal and inland faces of Mijas, for you to decide whether it may be the place for you. The area of Mijas Costa basically encompasses the stretch of land between Fuengirola and Marbella. 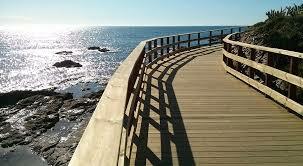 Here you will find the coastal resorts of Calahonda, Riviera del Sol, Torrenueva and La Cala de Mijas. As a first time visitor, it’s difficult to distinguish where one area starts and another stops. A more discerning eye and a little more time will soon lead to a clearer distinction and preference towards a particular location. Mijas Costa as a coastal resort area, was born from a collection of small agricultural and fishing villages. With the first hotel arriving in the 1950’s, tourism quickly began to boom. 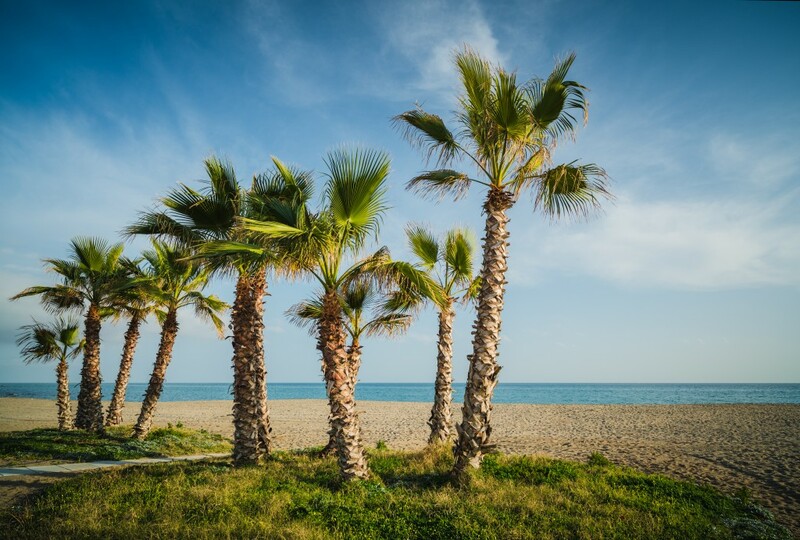 Whilst the hillside Mijas Pueblo initially remained disconnected from the coastal thoroughfares, tourists flocked in their droves to take full advantage of the unspoiled Mediterranean beaches. Unlike some of the larger local resorts of Fuengirola and Torremolines, La Cala de Mijas has maintained a low rise, unobtrustive sky line and its traditional cobbled streets. Despite its popularity it has more of a village feel. There is a friendliness and familiarity that hums through the streets, making residents and visitors feel very much welcome and at home. With a wealth of international influences in the restaurants, schools and local facilities, and a sprinkling of Spanish charm it is no wonder this is one of the most popular spots on the Costal del Sol. Residents are proud of their golden sandy blue flag beaches, excellent beach-side dining and outdoor activities. Playa La Cala de Mijas is wide and long, providing plenty of space, even in peak seasons, without feeling crowded. Two sun loungers connected to the beach chiringuitos, can cost around €10 per day, with waiter service. There is always the option to take your own, if you plan to visit the beach every day! La Cala maintains its fishing village routes, whilst appealing to the modern international tourist. It is popular with sun seekers and golf lovers alike for its proximity to both beaches and championship golf courses. Mijas Costa is a golfer’s paradise. With some of the best courses on the coast it is highly recommended for golfers who want to play a range of challenges. Known as the Mijas Golf Valley you will find Santana Golf, La Cala Resort Golf, El Chaparral and Calanova to name but a few. 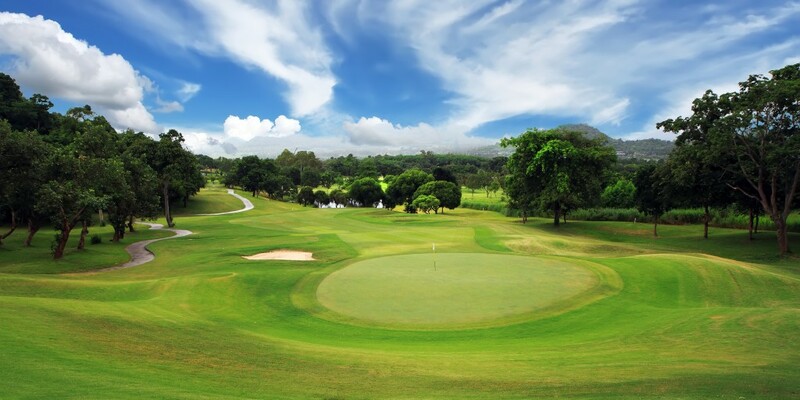 Here you will find the perfect climate for year round golfing. Stunning settings, fabulous conditions with an après golf scene to match the quality of courses. The coastal area caters well for the discerning foodie. Restaurants range from cheap eat cafe’s and pubs right through to gourmet delicatessens, fine dining and celebrity hot spots. Konfusion Tapas and Cocktails as well as The Little Geranium offer inspiring menus, patio dining and world class cuisine, but note that it almost essential to book in peak tourist season. La Cala de Mijas blends almost seamlessly with its bigger bolder neighbour- Fuengirola. A significant town and major tourist resort, complete with broad beaches, shopping and leisure complexes and a lively nightlife scene. The Miramar shopping centre is famous on the coast, and provides all the retail therapy one could wish for. Fuengirola has an urban feel and a large international community, and is hugely popular for holiday makers. For some it is everything you could ever want in a town. For others it may be too much! 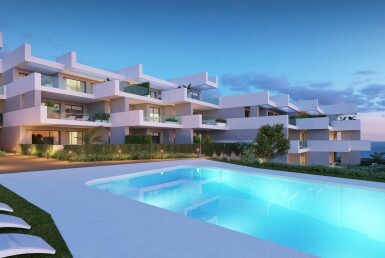 If you are looking for a more residential feel, you will find the areas of Sitio de Calahonda, Riviera del Sol and Las Lagunas. 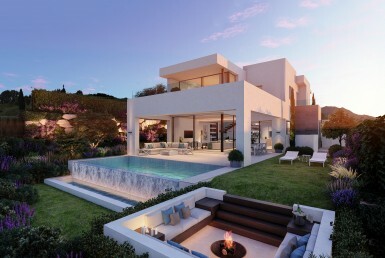 Designed as the suburbia of Mijas Costa, they are self-contained centres in their own right. 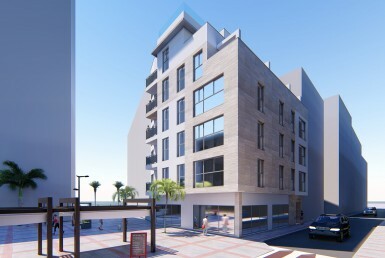 All areas have easy access to great beaches on this stretch of coast, as well as the very essential amenities of schools, hospitals and supermarkets. 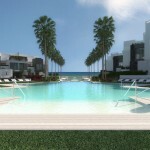 Here you will feel like part of a community, whilst only a short distance to the action of the nearer commercial areas. If you are considering a move with a family, it is important to consider options for schools. 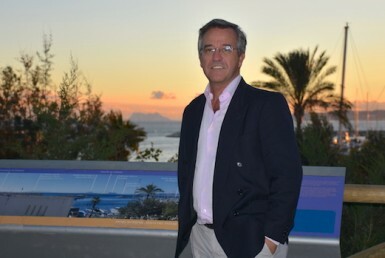 St Anthony’s college is the oldest international school on the coast, offering the British National Curriculum, as well as the Spanish ESO and Bachilaretto. It caters to a range of nationalities and cultures for children betwen the ages of three and eighteen. You will find Mijas Pueblo perched high on the hillside, overlooking the coast. Parallel to the N340 highway and not far from Fuengirola or La Cala. It’s the historical and cultural big brother to Mijas Costa. If there were ever a typical Spanish village worthy of a visit then this is the one. Gorgeous views of the coastline are enjoyed from every vantage point in town. The other-worldly silence of the mountainside provides an effective, protective sound barrier. Mijas’ location makes it a favoured weekend retreat for many locals from Fuengirola and Marbella. Being in such close proximity to the airport also attracts expat seeking a peaceful spot in which to purchase that dream home in the sun. The pueblo remained in relative isolation from the coast until 1873, when the road opened between Mijas and Fuengirola. This ended the segregation between the two towns which had been in effect since 1841. The village remained disconnected however, until the arrival of the first newspaper, Second Republic. There was no phone service until 1953 and the town’s architecture consisted mostly of shacks. Local inhabitants would have spent most of their time in the surrounding countryside. Walking daily from their homes in the village to the local farms, with their donkeys. It is still clear to see the historic importance of the donkey in this village. Each house has its own tether point to secure the donkey outside, whilst many of the historic homes have a cave section which served as the donkeys stable. Nowadays, it’s more likely to find a bodega or gallery in these caves built into the hills, but the donkeys remain a present feature of town. Making your way up the winding, narrow road towards the village you will see the white-washed houses arranged in tiers, clinging to the hillside. Despite its popularity with tourists, it has managed to retain its traditional character. The town council have used the village’s charm to its full. The pueblo itself is typically Andalusian. Steeped in culture and full of charming alleys and nooks. It feels like you have been taken back in time. When you wander through the narrow cobbled streets, you can understand what has attracted foreigners to settle here over the years. Many artists and writers have made it their home, enjoying the benefits of an excellent all year round climate, without being part of the busier, more commercial coastal towns just 7 kilometres down the mountain. The Mijas Town Hall has a Foreigners Department which caters brilliantly for both foreign residents and tourists. There are a host of craft shops and galleries selling affordable works from local artists. You will find unique souvenirs, boutique clothes and jewellery shops, and artisanal products. In 2013 Mijas opened its Centro de Arte Contemporáneo. A fantastic museum space with works by Pablo Ruiz Picasso, Salvador Dalí and Miró, among others. In fact, the museum has the second largest collection of ceramics by Picasso in the world. Not bad for little mountain village. The bullring, with its unusual quadrangular exterior, the sanctuary of the Virgen de la Peña (17th century) and the church of la Concepción (16th century) are some of the main landmarks of the village. Hikers can enjoy numerous rural paths which run inland through pine groves and around peaks. There are tracks leading up to the hermitage of the Way of the Cross or the old marble quarry for those that enjoy the great outdoors. Almost all of these sites can be visited by donkey-taxi. 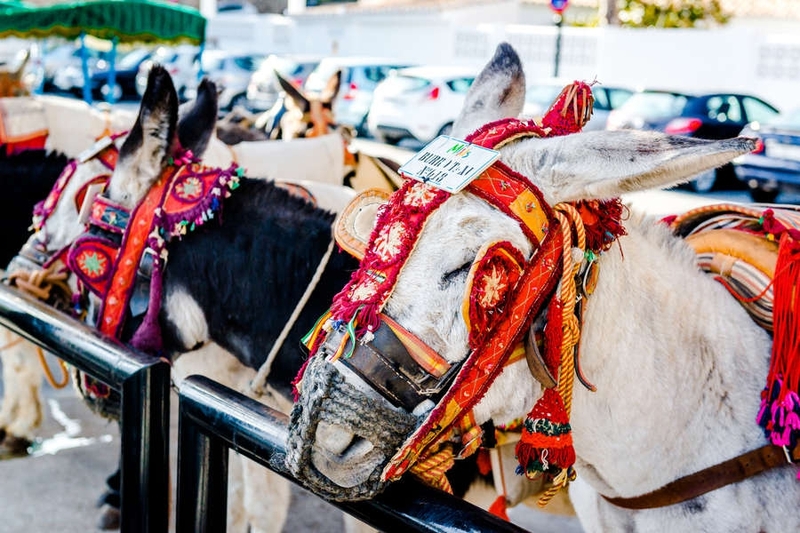 While being a means of transport, the donkey is also one of Mijas’ main attractions. Its origin dates back to the 60s, when workers returning to their homes by donkey were asked by visitors for a photograph. Alternatively, it’s now possible to tour the whole village via Tuk Tuk. An electric vehicle usually found in Asia, now weaves in and out of the cobbled streets, and high into the mountains. As a result, this is a highly informative and fun way to see the sites, and perfect for those that may struggle walking long distances. Mijas Feria is an event that many neighbouring towns and villages attend. Each year between 7 and 12 September, the village is lavishly decked out to celebrate its annual celebrations. The whole village, both Spanish and residents alike, participate in the festivities in honour of the town’s patron, the Virgen de la Peña.